This mornings for brekkies we all gettereds massivers piles of scramblereds eggies, all thanks to the friendliers chickens which lives on the crofter that we is stayings at heres on the isles of Lewiser! 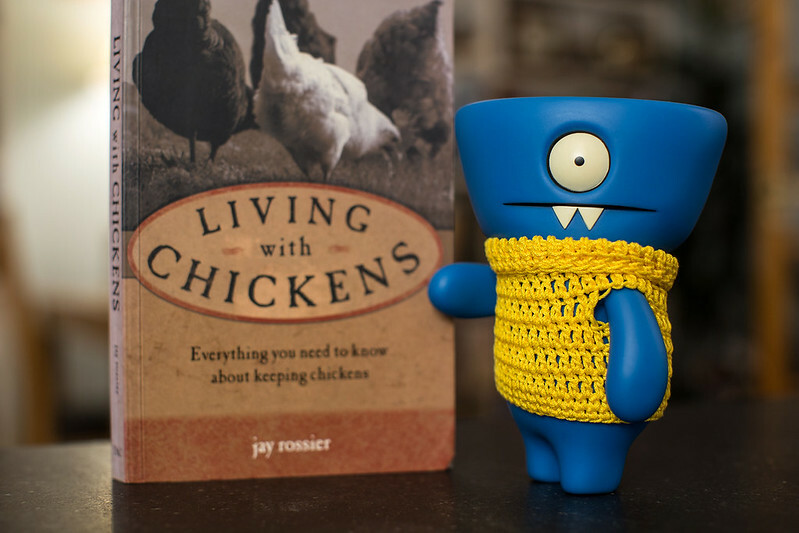 Our hostesser was kinds enough to gives me this booker to reads, which supposedlies will tellers me all I needs to knows to lives with chickens too! Mireille, sorry to bothers you on your honeymoons, when we gets backers to the cookie cave can I has chickens?